The thrills-per-dollar quotient in the ST is virtually unbeatable. If you don't believe the automotive landscape is changing quickly, perhaps more quickly than ever, just take a look at the rate at which automakers are canceling models. GM and Ford have made the biggest changes, and some of the vehicles set for demise are truly great. One of them actually stands alone in on automotive death row because it's the only subcompact hot hatch. It's the Ford Fiesta ST. 2019 marks its final year, and you'd be smart to grab one now. Okay, so if you clad it in orange, it's kinda mean looking. The Fiesta ST is based on the small and economical Fiesta, but that doesn't mean it doesn't have bark and bite. The regular Fiesta only has 120 horses from its 1.6-liter engine, but step up to the ST, and you get 197 horsepower thanks to turbocharging. Rip through the slick 6-speed manual transmission's gears, pair it with the excellent chassis and steering, and you have the makings of a truly thrilling car that won't land you in jail. 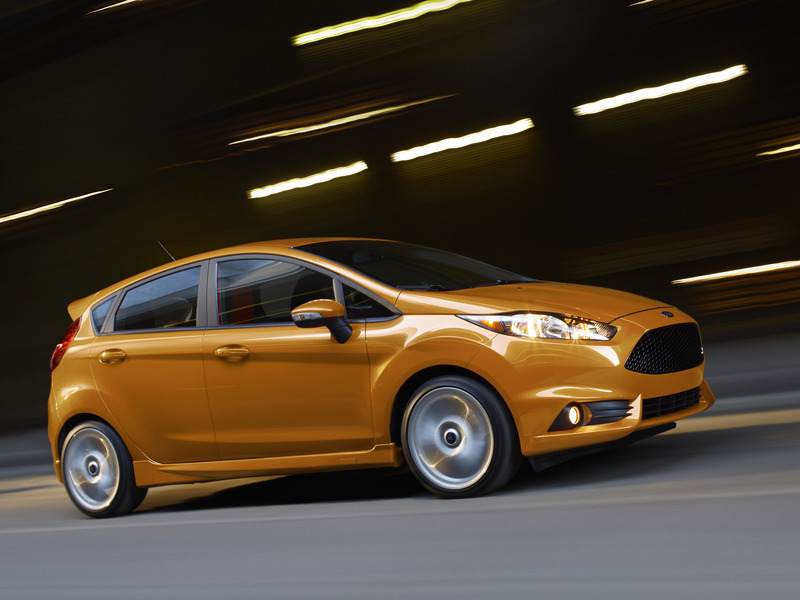 The Fiesta ST is also priced like an economy car, with its base at just over $21,000. That's crazy affordable. Even if you throw every single option at it, the ST still comes in at less than $25,000, which makes it way more affordable than the top trim Volkswagen Golf GTI Autobahn, which comes close to $40K. You get heated Recaro sport seats, heated side mirrors, and even the great SYNC3 infotainment system all standard. Don't accuse the ST of being thirsty since its small displacement engine and combined turbocharging won't guzzle gas like some hot hatches do. The EPA rating of 25 city / 32 highway is actually pretty conservative with some testers getting in the high 30s. That's pretty good considering this thing is designed to perform. 0-60 comes in 6.9 seconds, which isn't eye-watering, but the chassis really is playful, and you can toss the ST into corners like a hooligan, and it'll hold on. The rest of the time, you'll be smiling at the pump. May of 2019 marks the end of both the Fiesta and the Fiesta ST, which is truly sad. We lament the end of this sweet little car because it embodies the best of both worlds. It's affordable, economical at the pump, and it delivers driving thrills others would envy. It's no maddening all-wheel drive Focus RS, but that's why we love it so much. It's low on drama but big on fun. The fact that Ford is killing it means those who own one won't get rid of them, so if you buy one now, you can be sure buyers will pay a pretty penny to pry it from your hands. As we mentioned before, prices could eventually climb for used versions due to its desirability. Plus, there just aren't many of these floating around the American landscape since it's a bit of a niche car. Even if you picked up one today new, it wouldn't cost you much. A few years later, you could easily make that back. The rear three-quarter view is our favorite. Chunky and slick at the same time. We love everything about the way the ST looks. It has just enough style to set it apart from the regular Fiesta but not too much styling to make it look ridiculous or pretentious. Maybe orange isn't the best color for it if you want to stay low on the radar. Our choice would be the low key grey (Magnetic) that mates with the grey painted wheels. The standard roof spoiler is sweet, as are the dual exhaust pipes, and that perfect mesh grille with the red ST badge popping out of it. Get your hands on one now, and you won't regret it. It's one of the best sporty cars you can buy for the money, and it's gone after the spring is over.